If you have been lured by the immense killiness of the Daemon Weapon, consider where such an awesome tool of the Ruinous Powers came from. A Daemon Weapon is not the sort of thing you just find lying around in a toolshed! Every one will have its own backstory; the double-headed sword Titulator may have been forged by Khorne himself, binding the soul of a Keeper of Secrets who dared to assault his stronghold before casting the blade into the void. Alternatively, it may have been the discovery of this weapon that corrupted your Lord&#39;s soul and brought him onto the Dark Path in the first place. A Daemon Weapon is a very important tool, both in game terms and in background. Treat it as such. While you&#39;re at it, choose a name for your Lord. Don&#39;t be afraid to add impressive titles, or even just to go for a name that sounds suitably awesome; your Lord may have been born Cecil Limpwrist, but by the Gods, he&#39;ll die as Fleshrend Spleeneater! Every Warband will have a core of warriors to call its own - a Chosen entourage of the Lord&#39;s most favoured. In a small warband, these Chosen might make up the full extent of your Lord&#39;s power... though commanding two dozen Chaos Space Marines is no small feat! In a larger Warband, the Chosen might reflect the inner circle; the most battle hardened and viscious warriors your Lord can call upon. It is wise to decide not only what your Chosen consist of in terms of numbers, equipment and skills, but where they came from. If your Lord defected from the Raven Guard Chapter, did his Chosen follow him into Damnation? Is his Sorceror some Warp-spawned creation of a Rogue Magos Biologis, or a Thousand Son who fled following the Rubric&#39;s casting? Your Chosen may also count within its number great champions of its own - warriors who serve either through loyalty to your Lord, or because he crushed them under his mighty heel. Now your Chosen is amassed, it&#39;s time to call in some favours. Even the mightiest Chaos Lord has to bargain and beg with certain powergroups within the Eye if he wants their strength in battle - does your Lord sign pacts with Daemons, or lure Khorne Berzerkers with the promise of blood and carnage? Perhaps some or all of your Chosen, even your entire Warband, have given themselves over to the Dark Prince, and as such others devoted to Slaneesh flock to your banner. Obliterators are amongst the most sought-after allies within the Eye, but perhaps you would rather trade secrets of Sorcery to lure Thousand Sons, or barter for the mighty siege tanks of the Iron Warriors. What&#39;s a Chaos Lord without enemies? Apparantly, very popular. I suggest you change that at once! Chaos Marines have no trouble finding enemies; if they didn&#39;t betray their Loyalist brethren, they probably unholied a few holy places running from the Eye, or testing out that newly built Defiler. If all else fails, have them scream "Death to the False Emperor!" loudly enough, and someone is bound to take offence, even if it is the Dark Apostle next door whose trying to get some sleep. There is nothing that sets off an Evil Villain like a Hero... or another Evil Villain competing for Turf! In all likelihood, your Nemesis can tie in with your Warband&#39;s goals; if you seek nothing but mindless slaughter, perhaps you despise the only living soul ever to best your forces in battle - a large Ork Warboss whose more than happy for a rematch! If you lust for technology, you could go for anything from a Tau Shas&#39;O to an Iron Warrior whose tech you filched, or perhaps your meddling on a Forgeworld incurred the wrath of an Iron Hand Captain. Whatever you pick, make sure you have a Nemesis; if you don&#39;t, all those hours rehearsing your evil monologues will be for nothing! Now you&#39;ve got your background, it&#39;s time to polish it off. Give &#39;em a name, slap on some paint, and make the galaxy burn! Servants of Lord Corax, a mighty Sorceror Lord whose loyalty once belonged to the Thousand Sons, the Chosen of Corax are amongst the most elusive warbands active within the Eye and beyond. They are believed to number less than twenty, though each is a warrior worth a thousand men. They operate covertly, manipulating other forces or using mercenaries to fight battles on their behalf. They have an extreme hatred for the Black Legion, and seem to relish in plots that cost the Legion heavy casualties. They are also known to slaughter any who fail them without mercy. This is a fantastic article Wargamer, I&#39;ll definitely be adding this to the Important Topics Sticky. A reward for your hard work is in order. +1 Karma. - Anton. Draken Ignis rose through the ranks of the Salamanders with great superiority. His skill did not go unnoticed. At the time of the second founding he was appointed Chapter master of the Dragon Warriors. He was granted a master crafted lighting claw know as the Dragons Claw. He set the example for his marines to follow. To slay the mighty dragon beasts which inhabited there home world ,Extraho Cubile to show they honoured them and fought with the strength of gods. He soon succoured to the ruinous powers and leads his warriors on a Burning Crusade against the imperium. The most bravest of the Dragon Warriors were recruited into Ignis&#39; command squad , Court of the Dragon as they were know. When the ruinous powers came , Ignis granted these warriors the blessings of the chaos gods and they became his chosen marines. The always fight beside him never letting there master out of sight. Ignis was thought to of been mislead by Khorne to spill blood for the blood god. Some times Lone beserkers can be seen in the ranks of the dragons warriors feeding their craving for blood.Ignis is thought to have gained favour with an unknown Sorcerer who seems to be an advisor. The planet Extraho Cubile was often used as a battle post by the Salamander Space marines.It was a mostly barren and lifeless world except for the few dragon like creatures which inhabited it.Shortly after the Horus Heresy at the time of the second founding the Salamanders founded a Successor chapter to be know as &#39;The Dragon Warriors&#39;. Draken Ignis was appointed the Chapter Master and taught his Chapter just like the Salamanders teach there new recruits.There final right of initiation was to slay one of the mighty dragon beasts and to keep its pelt to honour the holy animal and to show they fight with the strength of gods.During the time of eternal night, where for half the year the planet remains in total darkness, red lightning split the sky and daemons poured from the ground. The chapter, for reasons completely unknown, instead of fighting back, joined with the daemons and butchered the populace, in an act of brutality not seen in centuries.The chapter became Excommunicate traitors and had to be dealt with for the safety of the Imperium.Two companies of Salamanders arrived in orbit, determined to rid this stain on their honour, but they were viciously beaten back by the new renegade forces. Seeing more ships arriving to exact His Imperial Majesty&#39;s Divine Retribution, the renegades took their Battle Barge, the Dragon&#39;s Fury and fled the planet. Seeing the flames of his homeworld burning, Draken Ignis seethed with anger, and hatred, and pledged to any deity that would listen that he would have his revenge, and punish those who slaughtered the sacred dragons. Mentor Pyrrhus, was once a great and powerful Librarian of the Imperium, second in command of the Furious Angels chapter He ruled next to Oedipus Erebus; A commander of great Strength, Intelligence and Bravery. Together they launched massive campaigns against The Bad Moons of the Orks, the Tir-Val of the Eldar and countless other groups of Xeno races. Their Homeworld, Herculae was attacked by the Night Lords Shortly after the Horus heresy. The Swift, and unnatural fast attacks of the Night Lords pounded Herculae like a lightning fast battering ram, but it was no use. After months of raging battles, the Furious Angels repelled the might of the Chaos gods. The inquisition was soon to follow the carnage to inspect the Furious Angels, and test them to see if they were still pure. The test results proved negative. There was a scent of Chaos energy lurking somewhere within the Furious Angels. The Inquisitor sent to inspect the Furious Angels threatened to send an army of Daemon Hunters to destroy them if they did not find the taint. Mentor Pyrrhus was not pleased. In an outburst of hatred and Anger, he released pure chaos energy into the mind of the Inquisitor. His mind fried, and his eyes burst into flames. Screams of pain wailed from the Inquisitor, and he fell on his knees, rambling mad, and shaking on the floor, where he eventually died. His bodyguard of Battle sisters immediately drew fire on Mentor Pyrrhus and his men, but they were clearly outnumbered, and were slaughtered by the Furious angels. The taint of Chaos was within Pyrrhus, and he had spread it within his Brothers. He lead his men over to meet Oedipus. As they spoke, Pyrrhus suddenly gave the order to Fire upon Oedipus, and his remaining Furious Angels. Pyrrhus swiftly slew Oedipus with his power sword, and then continued onward to torment the Furious Angels who refused to join him. Most came to terms with Pyrrhus, joining his path to chaos enlightenment, but there were still few that clutched to the heart of the Emperor, and continued to fight to the death. They were quickly and brutally dealt with until there were no survivors, and the Furious Angels chapter fled Herculae. Following the wrath of their newfound Sorcerer of Chaos. Mentor Pyrrhus. Pyrrhus has been drawn to Tzeentch for the power it can grant him. In the current day, The Furious angels are known as the Voices of Tzeentch, Following in the footsteps of the changer of ways. Ironic as it may seem, the Chaos Marines of the Voices of Tzeentch are silent, and never talk. The Voices of Tzeentch are named after Menor Pyrrhus himself, reflecting the fact that Pyrrhus is the only person that ever talks in battle, but seems to speak with thousands of voices at once. Legend has it, that underneath Pyrrhus&#39;s thick terminator armour, he has no mouth, as he has no need for it, communicating only through the mind. That&#39;s as far as I&#39;ve gotten so far. Took me a while to come up with that. :P I&#39;ve been sitting here typing for nearly 2 hours!!! I&#39;ll edit and adapt later. Captain Silas Thilias from the Consuls of Pyros 2nd company did not fall to chaos himself, but was pulled there. 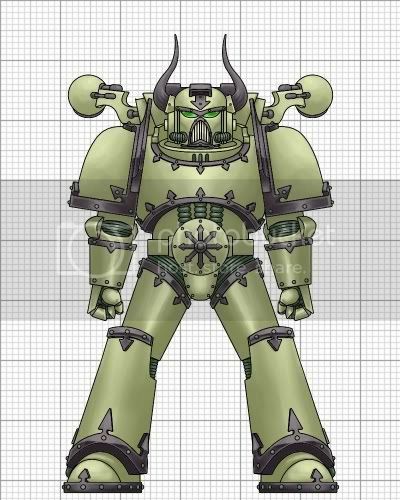 He was once a loyal servant of the emperor, as was the entire chapter, a 17th founding chapter using the salamanders Gene-seed. Their Homeworld, Pyros is a strange planet. Near the poles, volcanic energy is very strong, with an orange glow all around from the magma, and few species of plants and animals that can survive the heat, One Species of which is the Pyrossian Magmawolf (due to an incredible evolutionary trait (each individual hair on their body is a vent that can pump the heat out of their body) these wolves can not only withstand the searing heat of the planet, but thrive in it, quickly becoming the largest and most dangerous predator on the planet). Nearing the equator, about 45 degrees north and south of it, lies a band of swamp, heated and bubbling from the magma running close underneath the surface. It is in the deepest part of this swamp that the Chapter&#39;s fortress monastary lays. The Chapter&#39;s recruitment ritual involved dropping the initiate onto the pole of Pyros, and asking 3 things of him. First: he must slay or tame a Pyrossian Magmawolf, (very few men have ever tamed one, normally trying to tame one results in death.) 2nd, he must collect a luminescent swamp plant that only grows in the most remote locations in the swamp, and 3rd, he must return to the fortress monastery alive. The chapter was one of honor, fighting for the glory of the emperor. In a battle against the Eldar of the Craftworld Ana&#39;phaelas, the First company was sent in, as the captains all considered each other equals, and it was not to their liking that the battle companies saw all the fighting while the rest of the chapter, including first company kept out of the battle. most of the first company was stricken down in this battle, but not without a fight. the battle was on a nearby world, and as such, the apothecaries went to collect the gene-seed of their fallen battle brothers and chapter master, Victor Therios. What they found was astonishing. beneath a pile of eldar corpses, stinking with days worth of drying blood, lay their chapter master, still alive, severed from the waist down. many of the other first company veterans were found, still alive, with wounds that should have by all means killed them. Chapter master therios was promptly mounted into a Dreadnought, to lead the chapter in times of need, and it was from here that the cult began within the chapter. slowly and insidiously, one by one, the marines of the chapter, including the captains fell to the promises of power and undying strength of nurgle, all spread by Chapter Master Therios. The first marine who did not see battle that day, who fell was 8th company captain Gilius Ressock, taking his 8th squad, who looked towards everything he did with great pride, with him. slowly, squad by squad fell, as their captains fell. there were however, some hold outs. In all, First, 4th, 5th, 8th, and 9th company fell, before The chapter master began to plan a great purging. The last to fall before the purge was 2nd squad captain Silas Thilias. then it began, with the entire 3rd, 6th, 7th, and 10th squads being slaughtered by a plague released from the vents of the chapter master&#39;s Dreadnought. He then dubbed all his Traitor captains with their new names, no longer bound to the emperor but Free, serving their master, grandfather nurgle. 2nd company (my battle company): Lord S&#39;iqthilior, Master of the Bloodspores (formerly Silas Thilias). Note: More still has yet to be decided upon, including, the name of the autarch who slayed the chapter-master, The names of the Captains left (i want to have models for all of the captains, currently i have 2nd and 8th company models.) and a few other things. lets jsut say that this is just preliminary. Colour Scheme: Pre Fall, it was much more vivid than this, the bright orange of magma, trimmed with a still dark, but not as dank looking purple. Noe, the orange has dulled into a near brown, while the purple has darkened very muchly. A Warband consisting of just two Chaos Space Marines, the Plaguebringers are nevertheless a thorn in the side of the Imperium. The rebel Astartes, Librarian Sejanus and Brother Brutius, have dedicated themselves to Nurgle and launched a personal campaign seeking to gain power and glory. They are masters of sabotage and covert warfare; they unleashed the Grey Plague upon St. Vikina&#39;s Spaceport, and their scheming lead to the death of Grand Sorceror Thinatos, favoured of Tzeench. Their location is as yet unknown, but the Imperium is hunting them desperately; these two warriors have slain tens of thousands, and the casualty rates could soon reach billions if they succeed in their quest for Daemonic Ascendance. Note: Member awarded for contributing fan fiction for the Chaotic Literature section of the Important Topics Sticky. +1 Karma. - Anton. Personally, I like the low-bodycount approach. 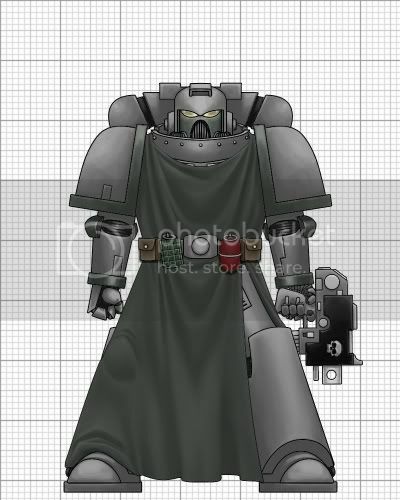 A Space Marine can become lord and master of an entire world, and so you could well have one Marine commanding entire regiments, if not legions of Cultists and Traitor Guardsmen. 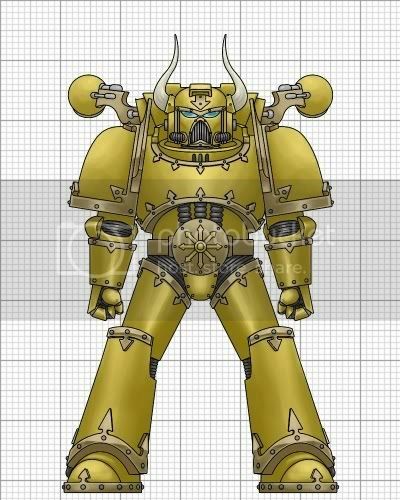 How do you represent that in game though, using the CSM codex? The standard CSM statline is way too good for a simple cultist or traitor. I do love the idea though. hmmm, ive been working on one so i guess ill give it a shot. A warband of psychotic murders, sadistic madmen, and power hungry rebels. The Soul Reavers spread discord before them and leave carnage in their wake. Lead by their vicious master, Lord Vrigoth, they slay thousands and burn entire worlds. Spilling blood in the name of Khorne. The Soul Reavers were once known by a different name. The Brothers of Valor, a 22nd founding chapter created from the Imperial Fist&#39;s gene-seed. The Brothers of Valor fought with a zealous might uncommon even amongst space marines. They had a fervent belief of honor in battle, such as never retreating from a fight. The homeworld of the chapter was the planet Iblis IV, a mountainous world with many deep vallys and canyons. The chapters fortress monastery was located deep within the Mountains, built from the stone of the cliffs themselves. There were many hives located across the planet, each with a small fortress at its heart containing a small force of marines to keep the order. The Brothers of Valor&#39;s 1st company, also called the Blades of Judgement, were the most valiant fighters of the chapter. Led by Captin Adohoth, the most decorated and praised commander within the chapter, the 1st company was a devastating force to behold. His unwavering courage and indomitably strong headed nature made him an excellent tactician and a powerfull fighter. However these traits would lead him down a path that would twist the fate of the entire chapter. Katheos, a planet on the edge of the system, had sent out a distress signal. However when the chapter attempted to contact the PDF to determine their current status, there came no reply. Fearing the worst, the chapter dispatched the 1st, 5Th, and 6Th company to discover what had taken place. When they arrived on the scene they were greeted with an unexpected sight. Wreckage from a space battle drifted around the planet. Apon furthe inspection the forces discovered a relatively intact battlebarge with a strange emblem on its side. Adohoth recognized this symbol almost immediately. a double-bladed chainaxe, it was the sign of the Skulltakers. Upon this discovery Adohoth immediately reported his findings to the Chapter&#39;s homeworld. The forces of chaos were at work on Katheos. Action had to be taken before their foul taint could spread further. However the Chapter Mastor ordered that he hold his postion. He was to wait until reinforcements arrived. Adohoth was conflicted. If action was not taken immediately the forces of chaos would succeed in whatever it was they were planning. But he could not go against his commanders orders. He began to hear whispers in his head of his commanders cowardice and lack of honor. at first he shunned such words as pure heresy, but soon he lost the ability to discern between the whispers and his own thoughts. He doubted his commander&#39;s judgement and with reinforcements still a weeks journey away, Adohoth gave the order: The Chaos forces were to be found and annihilated. Adohoth and his forces soon deployed to theplanets surface via drop pods and were immediately met with resistance from the chaos forces. To his amazement small pockets of the PDF still remained, fighting with everything they had. Fighting his way through the enemy Adohoth managed to make it to the commanding officer of the PDF. They had been fighting the chaos forces since they arrived on Katheos, sustaining heavy loses. As to the Skulltakers objective, the officer was at a loss. But he did state that the enemy forces were most heavily consentrated in a barren area to the west. Thinking that whatever they were searching for was located there, Adohoth battled his way to the west, slaying every chaos marine in his path with righteous powersword and holy bolter. Cutting a bloody swath through the enemy, the Brothers of Valor pressed the chaos forces back towards the west. As the Space marines pressed forward, an ominous figure loomed in the horizon. a large construct with symbols of chaos etched into the the rock face and sacrifices impaled on stakes mounted across it. A chaos temple. whatever it was the Skulltakers was seeking, it must lay inside. With a new found fervor Adohoth fought onward, seeking to end the taint of chaos on this planet. Adohoth and his personal routine entered the temple as the remaining forces continued to battle outside. Making his way to the center of the temple, Adohoth came face to face with the leader of the enemy forces. A massive monster of a man, he wore blood red power armor with brass trim. He was covered in what appeared to be dust from head to toe. Standing in front of a large alter, he smiled wickedly at Adohoth and his men. "Glorious isn&#39;t it?" he said as he gestured to the alter behind him. On it, embedded into the stone itself rested a Massive greatsword. The weapon seemed to pulsate with unnatural power, the runes along its blade glowing with life. "Here lies the fruit of my labor! You played your part well space marine, fighting your way here without a moments rest. The battles and bloodshed taking place have stirred the daemon within this blade from its millennia long sleep." Adohoth drew his pistol and aimed it at the Heretics head without a moment of hesitation, finger resting on the trigger. "Its far to late for that...the moment is upon us space marine, bear witness to my glorious rise to power!" The chaos lord reached out, grabbing the hilt of the daemon weapon. At his touch the runes of the blade flared with power and the blade began to burn with warp fire. Adohoth and his marines charged the chaos lord, but they could not stand against his unholy power. Marine after marine fell to the twisted blade until only Adohoth remained. He fought with all his might, striking at the chaos lord with his power sword. As he fought the whispers returned to his head. "Strike the scum down...He is not worthy of the power he wields...slay the wretch...and take what is rightfully yours" Adohoth saw an opening and parried the chaos lords blow, bring his power sword in an upward arc and severing the chaos lords head from his neck with one clean blow. As the dead chaos lord slumped to the ground Adohoth stared at the still glowing greatsword. "take it...take it...it is yours...as it should be..." With this he grabbed the blade and made his way out the temple to bring an end to the battle. As Adohoth exited the temple he discovered that the enemy forces had all but fallen. His marines fought with a newfound, almost unnatural bloodlust, slaughtering the chaos marines effortlessly. soon the battle had ended and the chaos forces had been wiped out. The PDF was almost completely destroyed in the fight but remained. Adohoth and his remaining forces re-boarded their battlebarges and prepared to depart when they received a transmition from the chapter master. They were to report back to the fortress monastery to atone for disobeying a direct order. Adohoth instantly flew into a rage. He had fought valiantly and cleansed the planet of taint. His men had died fighting beside him, and now they dare to repremand him? With his hatred boilling over within him, the whispers returned. "They fear you...fear your power...they are weak...they understand nothing....make them pay..." Adohoth fully gave himself over to the dark thoughts. The daemon&#39;s scheme had worked. Adohoth&#39;s soul was now his. With the daemon weapon in hand a coarse was set for Iblis IV, all the while Adohoth laughed to himself at the prospect of what was to come. Yes, I was gutted when the Lost & The Damned were de-listed - my Word Bearer led cultist / daemon outfit was great fun to model, fluff and play. Am very disappointed that the new Chaos codex is so limited. I&#39;m thinking of creating my new army as SM Codex in the process of going traitor.